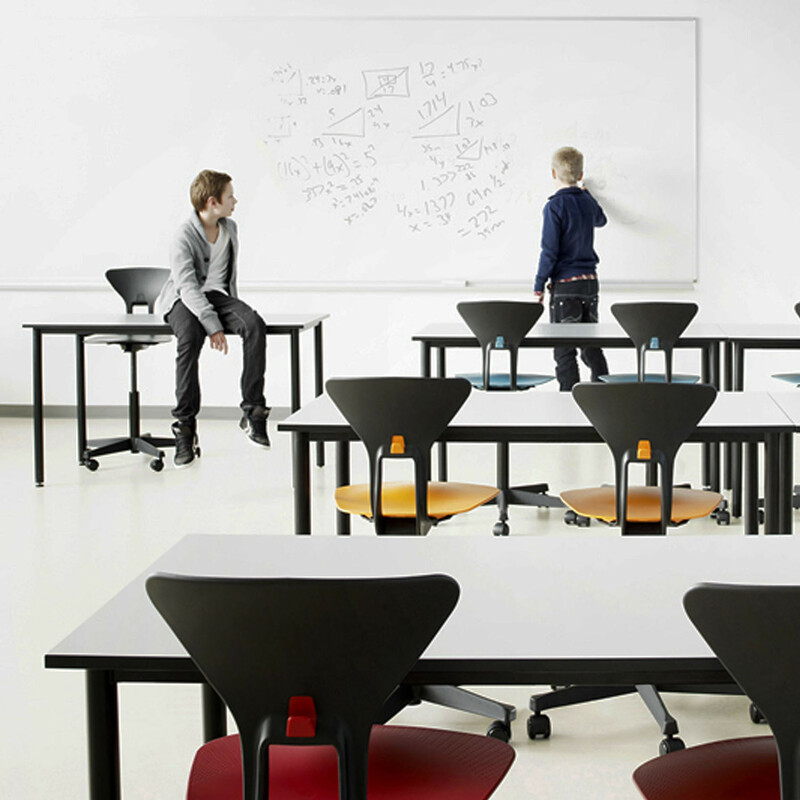 Ray Chair was designed by Hans Thyge and is a range of innovative school furniture which can contribute to more dynamic learning in primary schools and support active learning. 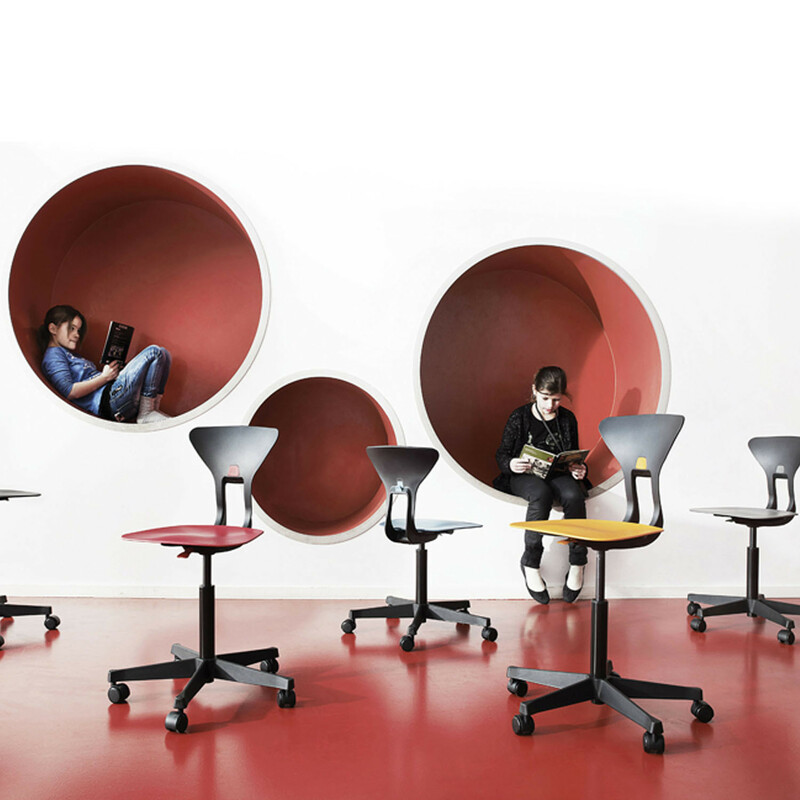 It answers a need to minimise static and predominantly seated learning and provide space for physical activity. Traditional school chairs where the seat is horizontal or slightly inclined may in the long run result in health problems and bad posture. 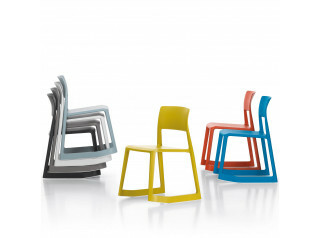 The Ray Chair focuses primarily on the seat pan design. Research has shown that traditional ‘right-angle’ sitting encourages poor back alignment, atrophy of the core muscle group and many long term, ‘lifestyle’ illnesses. The most effective way to sit for students is with an open angle between thighs and torso and with hip abduction. This allows the users’ pelvis to rotate forward, until the spine is neutrally balanced and can support the upper body. 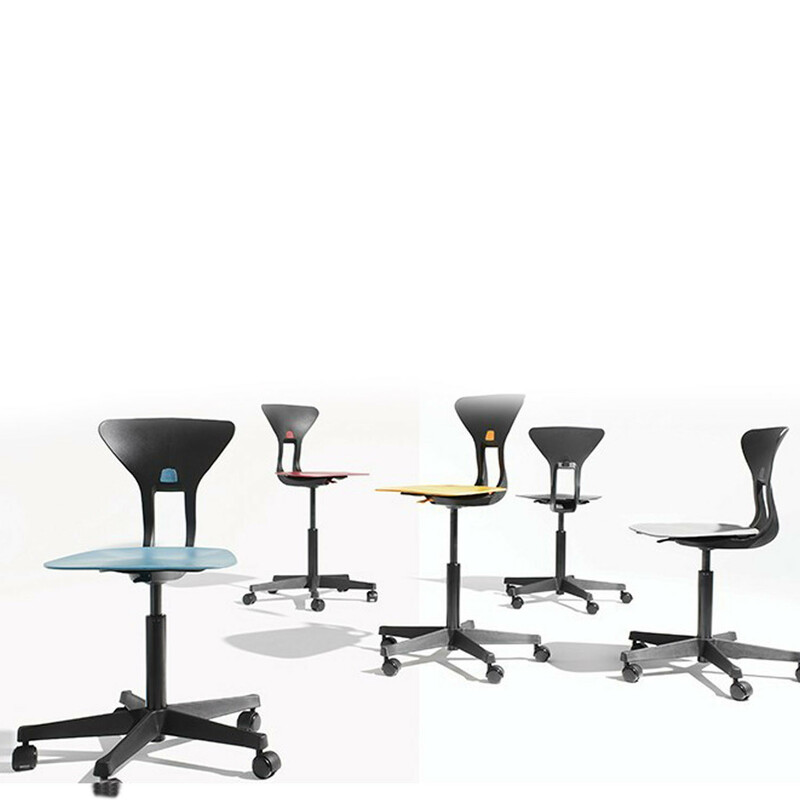 In close collaboration with Irish schools, prototypes of what would become Ray Chair were extensively tested with the help of Irish schools. 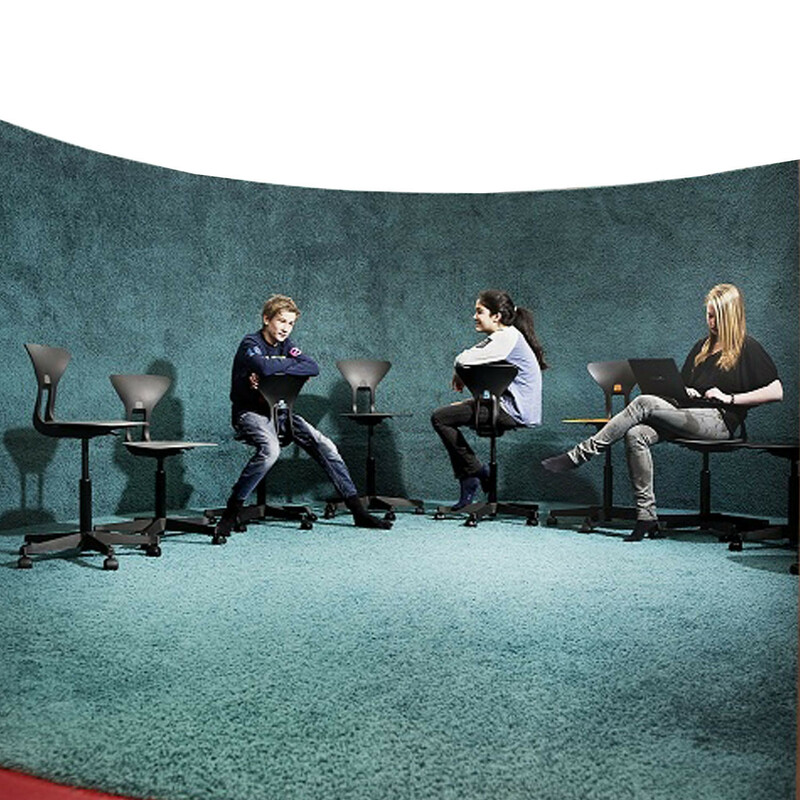 Prior to this research various complex physical tests were performed at Cork Institute of Technology as comparative tests with standard school furniture, relating to sitting postures and their consequences. 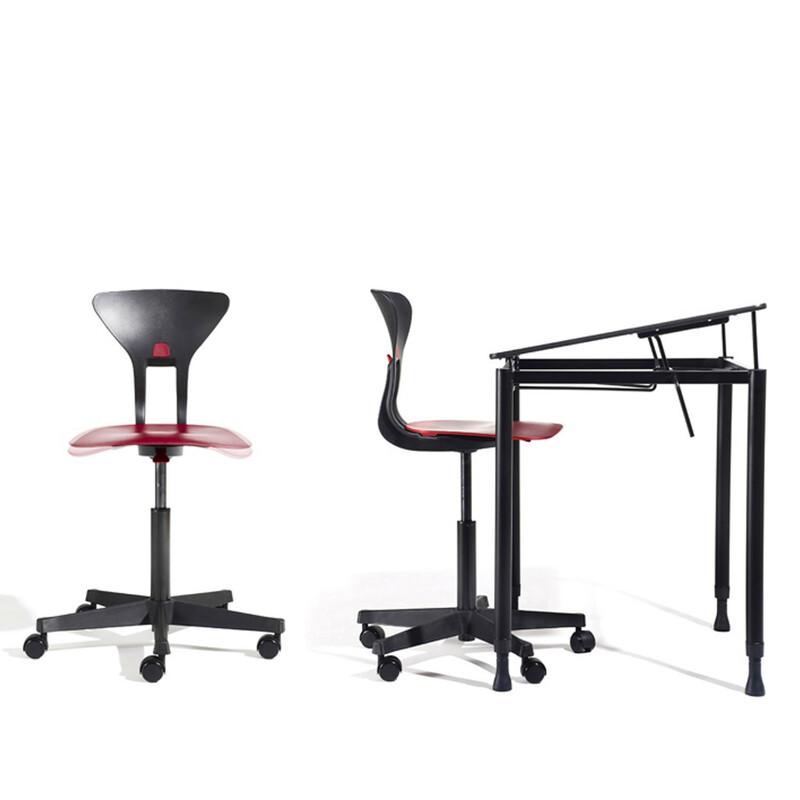 The choice of materials points to the future and the seat is made of a new and special plastic material that can withstand many deflections. 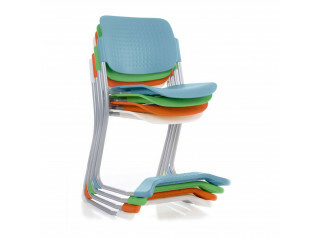 The result is the very comfortable, lightweight Ray Chair that is robust for use in schools. You are requesting a price for the "Ray Chair"
To create a new project and add "Ray Chair" to it please click the button below. 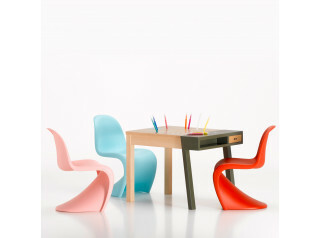 To add "Ray Chair" to an existing project please select below.